The September 7th theme for Mommy's Mani Monday was "Back to School". I had already done a BTS mani, and didn't have a chance to complete a new one for that week. However, the ladies in that group are so amazing that they used my former BTS mani. Here is the full collage for that week! 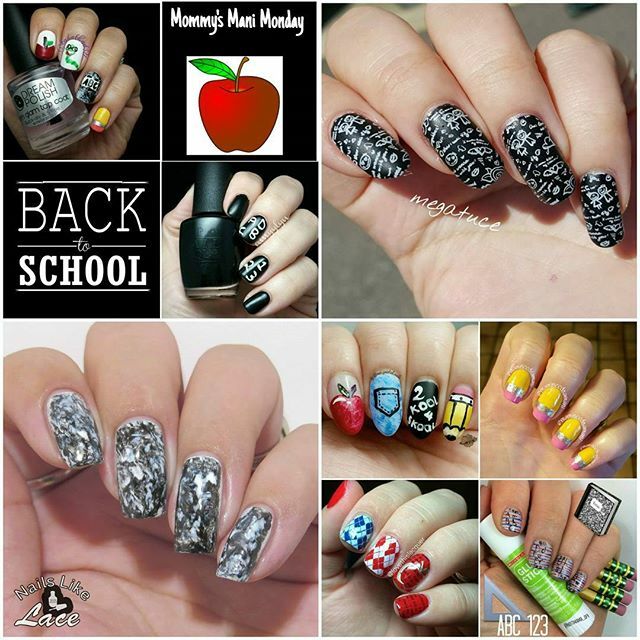 Go check out Mommy's Mani Monday on Instagram! There are some super talented ladies there!